Looking for a BMW mechanic in Anchorage, Alaska? 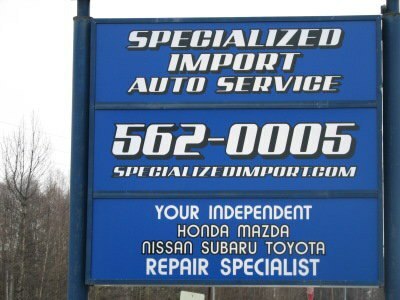 Specialized Import Auto Service specializes in Toyota, Honda, Subaru, Nissan, Hyundai, Mercedes, BMW and other imported cars and trucks. Visit the Home Page of our site to learn more about our BMW mechanic services.